What Should Senior-Living Providers and Nursing Facilities Know About Arizona’s Medical Marijuana Law? Medical marijuana (MMJ) is now legal in 31 states and the District of Columbia. Many (if not all) of the remaining states are certain to follow suit as recent polls indicate popular support for MMJ is above 90%. The Arizona Medical Marijuana Act (AMMA), A.R.S. § 36-2801 et seq., which went into effect in 2011, allows individuals diagnosed with certain “debilitating medical conditions” such as Alzheimer’s Disease, cancer, PTSD, and chronic pain, to obtain a registration identification card from the Department of Health Services that permits possession and use of marijuana. Each applicant must obtain a written certification from a physician stating that the patient is likely to receive therapeutic or palliative benefit from the medical use of marijuana to treat or alleviate the patient’s debilitating medical condition or symptoms associated with the condition. Today there are more than 170,000 MMJ cardholders in Arizona. About 22% of those cardholders are over 60 and, by many accounts, seniors are the fastest-growing demographic of marijuana users. According to a 2016 National Survey on Drug Use and Health, the number of people age 65 and up who said they use marijuana grew 250 percent between 2006 and 2013. And there are good reasons for the high demand for MMJ among seniors. According to one recent study, marijuana proved effective in treating chronic pain and in significantly reducing consumption of addictive opioid painkillers. Another study identified a compelling link between cannabinoids and slowing of the progress of Alzheimer’s. Many of these senior cardholders are or soon will become residents in Arizona’s retirement homes and assisted living and nursing facilities. Senior-living providers thus understandably are interested in establishing policies regarding MMJ that recognize its important role in treating serious medical conditions but also comply with federal and state laws and regulations and are consistent with applicable standards of care. Because the legal landscape is constantly evolving, and compliance issues are complex and fact-dependent, it is critical that all policies and procedures are reviewed by legal counsel. With that caveat, here is a review of some of the important legal concerns that should be considered. As the preamble to the AMMA makes clear, its purpose is to “protect patients with debilitating medical conditions, as well as their physicians and providers” from any negative legal repercussions relating to the medical use of marijuana. As such, the AMMA expressly contemplates that MMJ may be used in licensed nursing facilities and allows nursing facilities to adopt reasonable restrictions on the use of marijuana by residents including, for example, rules that marijuana be consumed by a method other than smoking and/or only in a place specified by the facility. See A.R.S. 36-2805. Generally speaking, Arizona law poses no serious obstacle for nursing facilities and other senior-living providers that wish to develop and implement policies and procedures for the use of MMJ. Unfortunately, however, this relative certainty was dealt a significant blow by the Arizona Court of Appeals in State v. Jones, 794 Ariz. Adv. Rep. 4 (June 26, 2018). In this opinion, a divided 2-1 panel held the AMMA does not protect the use of “hashish” (resin extracted from marijuana plant). The decision almost certainly will be reviewed by the Supreme Court. Until that occurs, however, its scope and impact is unclear. Broadly interpreted, it would suggest the AMMA only protects the use of the dried flowers of the marijuana plant and not any of the tinctures, capsules, and infused products currently allowed by the Department of Health Services regulations and widely available in dispensaries across the state. The biggest impediment to efforts to implement marijuana reform at the state level is the fact that marijuana is illegal under the federal Controlled Substances Act, 21 U.S.C. §801 et seq., (the CSA). Under the CSA, which technically trumps any contrary state laws, it is illegal to manufacture, distribute, or dispense, or possess marijuana or to knowingly maintain or manage any premises for the purpose of manufacturing, distributing, or using marijuana. Significant efforts are being made to re-schedule marijuana in light of the growing popular support and recognition that marijuana has many important medical applications and is less addictive and harmful than legal and widely-prescribed drugs such as opioids. Until this reclassification occurs, however, actors in state medical marijuana programs have relied on two stop-gap protections. Second, and more substantively, state medical marijuana systems have been shielded since 2014 by a budget rider (the Rohrabacher Amendment) that prohibits the Justice Department from spending funds to interfere with the implementation of state medical cannabis laws. The rider has successfully made it in to eight successive temporary continuing resolutions (Congress hasn’t passed a new federal budget since 2015) but constantly must be renewed, thus creating considerable uncertainty going forward. Senior-living providers in Arizona that are certified by the Centers for Medicare and Medicaid Services (CMS) and receive Medicare and Medicaid funding must consider additional potential problems. Most notably, the Social Security Act requires participating nursing facilities to “operate and provide services in compliance with all applicable Federal, State, and local laws and regulations.” 42 U.S.C. 1396r(d)(4). There is a concern that a facility’s MMJ program may not pass a compliance audit and may result in an adverse enforcement action (up to and including exclusion). But a close read of the relevant laws and regulations suggest fears of adverse consequences for certified providers likely are not well-founded. And, reassuringly, officials at CMS are not aware of any facility that has lost funding or been penalized for permitting the use of medical marijuana. Despite a growing nationwide trend toward legalization and acceptance of medical marijuana, a vexing cloud of legal uncertainty persists. But at least three things seem clear. First, medical marijuana is here to stay. Second, more and more seniors are learning about the benefits of MMJ, are registering under Arizona’s MMJ program, and will expect senior-living providers to accommodate and respect MMJ treatment. And third, senior-living providers in Arizona should strive to develop sensible policies and procedures regarding MMJ that are consistent with state and federal law. 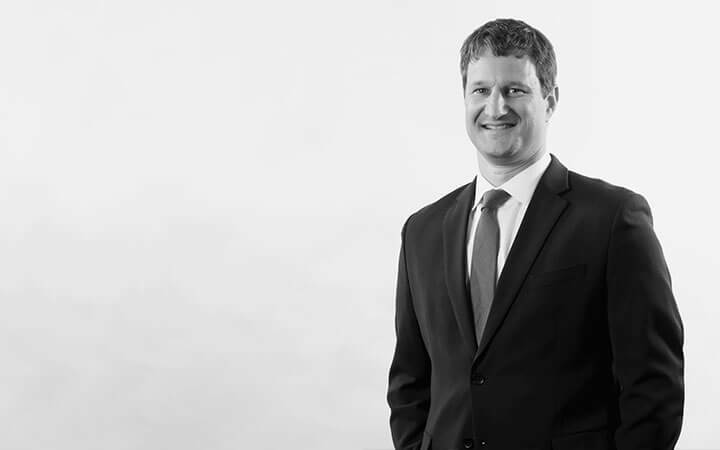 Andrew Sterling is an attorney in Rusing Lopez & Lizardi’s Tucson, AZ office. Andrew provides comprehensive legal advice to investors, licensees, real estate enterprises, and other interested parties in the cannabis industry, including on issues such as corporate governance, licensing and regulatory compliance, zoning compliance, labor and employment matters, and structuring acquisitions and joint ventures. Disclaimer: The foregoing is not legal advice and does not create an attorney-client relationship. If you have any questions or require any assistance, please contact Andrew at asterling@rllaz.com or (520) 547-4831.